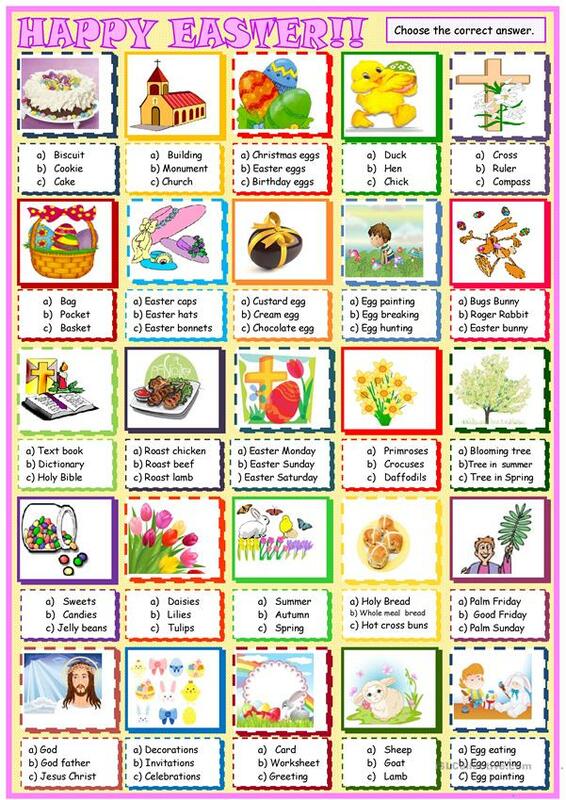 My last two worksheets to work and learn voacabulary related to Easter, Easter bonnets,Easter Sunday, students have to choose the right solution for each picture. The above printable, downloadable handout is a great resource for high school students, elementary school students and students with special educational needs, learning difficulties, e.g. dyslexia at Elementary (A1) and Pre-intermediate (A2) level. It is a valuable material for strengthening your groups' Spelling, Speaking, Reading and Writing skills.